A complimentary lunch and tour of the facility will be provided for all registered attendees. 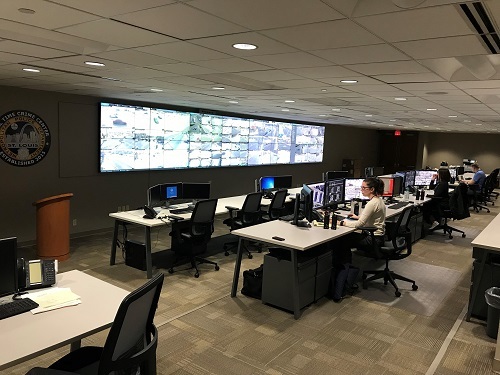 In May of 2015, the St. Louis Metropolitan Police Department’s (SLMPD) Real Time Crime Center (RTCC) was unveiled at Police Headquarters located at 1915 Olive. The RTCC is manned with Commissioned Police Officers 24-hours a day and 365 days a year.